George Willis admits he does his ‘own head in’ on the pitch - but he’s not ready to change his vocal ways. 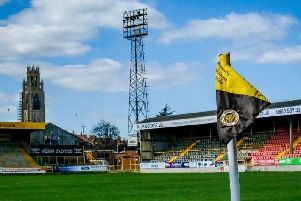 The Boston United keeper is relishing his role as Pilgrims skipper this season, but believes the verbals he throws out during games have nothing to do with him wearing the armband. “It doesn’t change me really. I’ve always been vocal, it’s the way I play,” Willis told The Standard. “I do my own head in to be honest when I go off on one. “I don’t know what it’s like for the other lads. But it’s how I play and I won’t change that.